Good afternoon! As you know I'm currently studying Media Makeup which means that I'm constantly talking about makeup and always keeping my eyes peeled for new makeup brands and good products to try out. 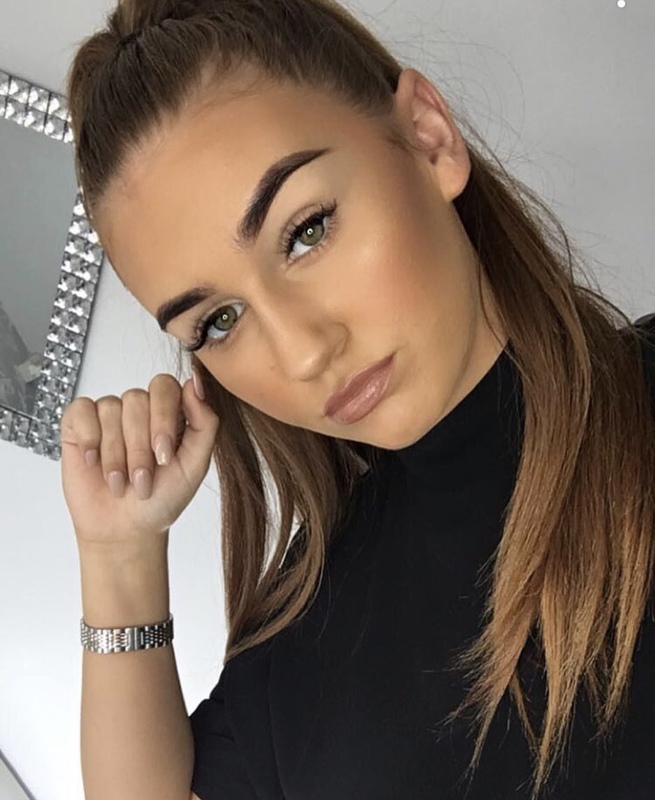 I discovered Peaches and Cream a while ago on instagram (peachesmakeup), they're actually a salon in Liverpool in the UK as well as selling their own brand of makeup. In December I was lucky enough to go on a trip with the girls on my course to the Clothes Show in Birmingham which was such a good day out and definitely something I'd love to do again next year, if anyone has heard of it and is thinking about going definitely go because it's such a good day! I knew that there was going to be a NYX makeup stand there so I definitely made a beeline for that stand first, so after picking up the NYX products I wanted we had a wander round all the other stands which were beauty related, clothes, teeth whitening etc. and we actually came across the Peaches and Cream stand and the pigments were definitely what first caught my eye as they were so beautiful. After purchasing 3 of the pigments I decided that this chance should not be wasted - I needed more! The ladies who worked on the stand were so helpful and friendly and showed how each pigment worked with their primer and they were all stunning! It was so difficult deciding which ones I should take home but if you know me, you know eyeshadow is my ultimate true love, so I ended up with seven! They're super affordable but goodness me they are beautiful colours! The only downside to them is that they do tend to transfer a little bit into the crease when placed on the lids. If you follow me on instagram (rebeccacapel) you'll have seen how I used the disco pigment on my lids with a burgundy smokey eye as a Christmas inspired makeup look (click here for photo). Once I've blended all my eyeshadow I spray a small amount of MAC Fix+ on a brush and dip it in the pigment, tap off the excess into the lid (aint nobody wasting these pots of heaven) and then pack it onto the lid. So, the colours that I purchased going from left to right are Pearl, Kitten, Peached, Foxy, Secret, Famous and Disco. 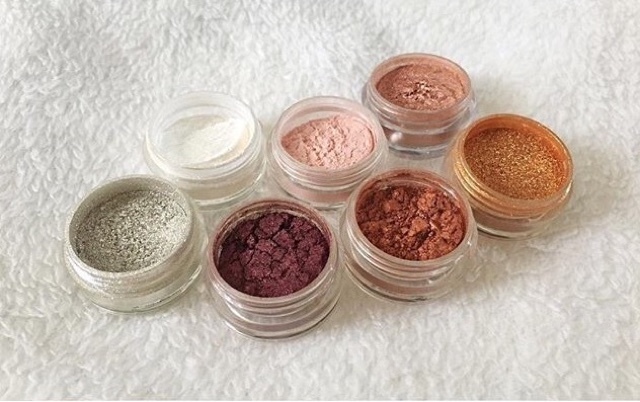 I loved wearing the shades disco and famous around Christmas and New Years Eve they were the perfect party pigments. I also have a great love for the peached pigment I think this is my favourite out of all the pigments I purchased, it goes with most eyeshadow looks and I think it is a unique colour which usually I wouldn't normally gravitate towards but now I can't stop using it! Let me know if you've tried any of these pigments and what your favourite colours are and if there 1are any other pigments from different brands which you like as I would love to know! See you soon!